Home / Inspiration / Our local pubs and clubs are making us happier! Earlier in the year I wrote an article about my local pub closing down. At the time I was blown away by the outpouring of emotion from members of the community. People were petitioning for the venue to reopen and politicans were getting involved. Everyone hoped for the best and everyone had a story about their favourite times at what was an iconic Australian pub. Things are still up in the air but for the moment the pub is closed, covered in graffiti and virtually abandoned. It still pains me to drive past and see it in it’s current state. When I wrote my original piece I guessed at exactly how important Aussie pubs were as a community meeting place. Somewhere people could get together to talk, laugh and catch up on good times and bad. Recent research shows that I wasn’t too far from the mark. 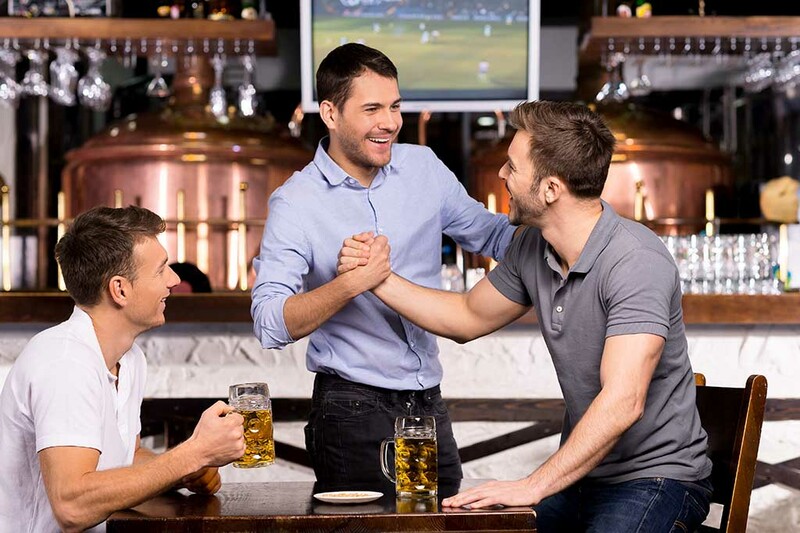 According to Dr Peter Jonason, a social personality psychologist from the University of Western Sydney, those who spend regular time at their local are more trusting and satisfied with life. These patrons have better support bases and deeper friendships than those without a regular pub or club and identify more closely with their community. These findings are backed by earlier findings in Britain by Dr Robin Dubnar. It concluded: “There is a long and honoured tradition in Australia for going down to the ‘local’ bar for a drink to socialise and relax with friends. This study just reinforces the core belief that many of us in the hospitality industry hold. That is that pubs and clubs are more than just a place to grab a cold beer and watch some sport on the big screen. Our venues are places where we meet with friends and family and develop stronger bonds with each other. It’s a great blessing and an important responsibility for all of us in the industry. Keep it in mind next time you welcome new patrons into your venue!